Keith Jarrett: 'I Want The Imperfections To Remain' Four years after it was recorded live in Lucerne, Switzerland, an album of six standards called Somewhere is finally getting a proper release. 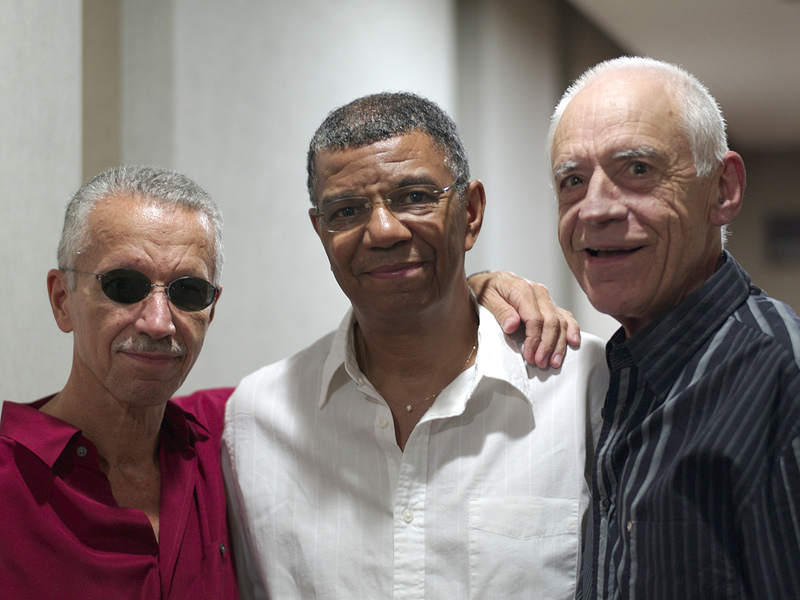 Keith Jarrett, Jack DeJohnette and Gary Peacock's new album of standards is titled Somewhere. Sometimes records have to steep. Four years after it was recorded live in Lucerne, Switzerland, an album of six standards called Somewhere is finally getting a proper release. Keith Jarrett and his trio, including bassist Gary Peacock and drummer Jack DeJohnette, just weren't happy with the sound of the room or the circumstances at the time. Listen to Somewhere, however, and none of that comes across. "I tried not to manipulate anything," Jarrett tells NPR's Robert Siegel. "I like the raw tapes. I like it just as it's handed to me the night that it happens. I want the imperfections to remain because, to tell the truth, the way I play in a given space is because of the space. So if we start to change that and I listen to it, then I don't even like it at all." Mostly, Jarrett says the hardest part was convincing Peacock that the recording was good. You wouldn't know it listening to Somewhere, but "he was in hell that night, as far as the sound was concerned. "Players are very protective of their turf," Jarrett says. "Over and over in the past, I've had the experience of knowing we just played the best version; we will not need to do another take. If it's a band, it's a band. If what we do when we're playing together is good enough, even the solos don't matter that much. What matters is the spirit kept."